Please Note – Both books reviewed in this blog were kindly given to me by the publisher in exchange for an honest review. So, we begin a new year. It’s time to clear up the loose ends of 2016. Then, I can move on to 2017. I will begin with my goals; I failed them all. I planned an ambitious reading goal of 180 books. While I easily achieved this goal in 2015/16, last year I read only 119 books. 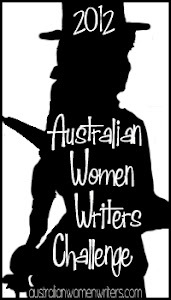 In addition, I signed up for the Australian Women Writers Challenge (#awwc2016). I only read one book from this challenge. As for my read the awards challenge, as predicted, I started well but then my enthusiasm flagged. So, am I going to set any goals for 2017? Yes, I am gambling on a peaceful year and hoping that I can focus on my reading and writing. So, I have set my Good Reads reading challenge at 120. In addition, I have signed up to read 10 books that are over 400 pages long. Once again, I have signed up for the AWWWC, setting my goal at 24 books. As for awards, I plan to read along with a few but not as many as last year. I think I’ll see what happens throughout the year. Secondly, I turn my attention to Greyson Perry’s the Descent of Man. If Margaret the First looked at a woman in a man’s world, this book turns its attention to the male of the species. Using; their own experience, knowledge gained through conversations, and existing academic research, Perry explores how are current ideas of masculinity can be toxic to men. This book would make an excellent introduction to the topics and issues surrounding masculinity and is written in an enjoyably accessible way.